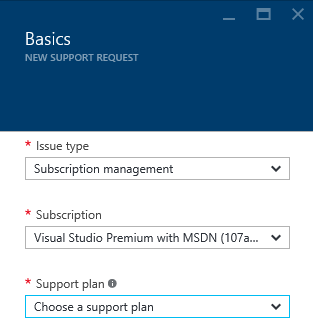 As I am finding out, to be able to submit a support request from Azure portal, you are required to select Issue Type, Subscription and Support Plan. In my case, Support Plan drop down didn’t have anything I can use as I haven’t linked any existing benefits yet. Depending on where you are in the world, the process may be different. 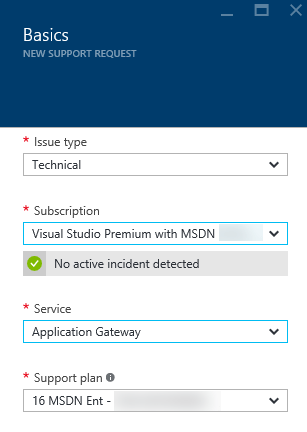 I had to call a support phone number and request the support personnel to setup a support contract for my MSDN subscription. I provided them with my MSDN subscription ID and was told I will get a call soon. I have to say it didn’t take them long to call back, and I was provided with Access ID and Contract ID. I was also told how many technical incidents I was eligible for. Primarily, as an MSDN subscriber, you will be asked to open support cases from http://support.microsoft.com/oas. Only if the portal is down, you can call phone support (or so was I told). If you are Premier customer, process to get Access ID and Contract ID may be different. Check with your TAM or call support. 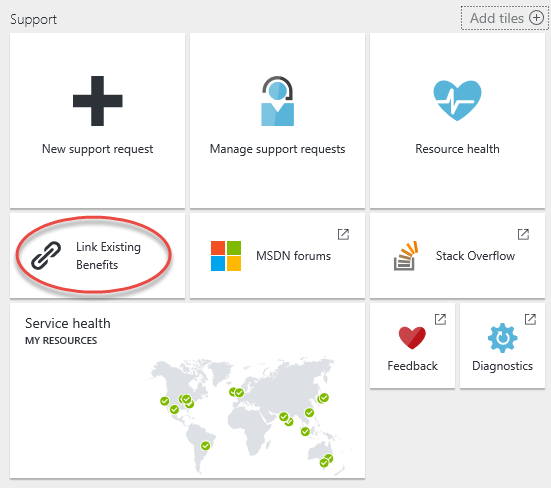 At this point, you can create a support incident using your linked contract. 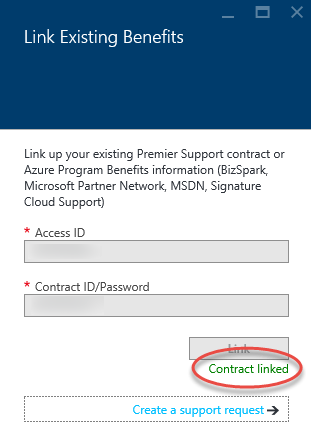 If you have multiple contracts linked, you can select one you want to use for given support issue. 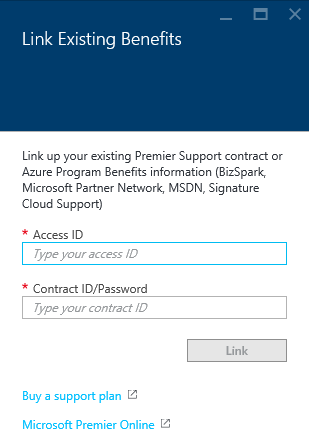 I also noticed that I was able to use any of my contracts regardless of Azure subscription I was trying to open a case for. Well, if you didn’t know, now you know! Cheers!